Beads and Jewellery. Oh my! Before anyone worries that I've broken my self-imposed bead embargo this series of beads are all pre-embargo beads, I'm just catching up with the blog! 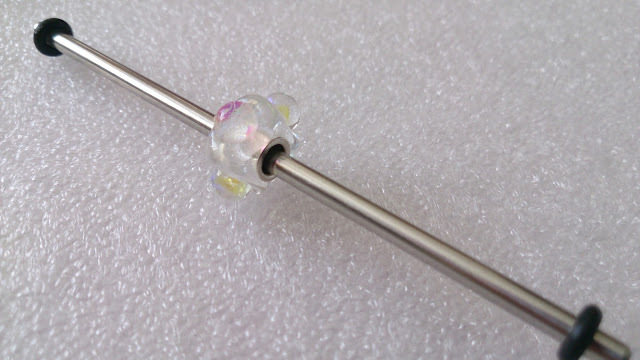 I've been buying a lot of glass ooak or unique beads recently so it was great to add some glass production beads at fab preloved prices. First up was Blue Fizz - When I went to buy my first bracelet and beads this was one of the beads I'd originally wanted to buy, except when I saw it I didn't like it as much as I thought I would. I went with different choices for a number of reasons, but at the time I think it was the uniformity of the bumpies that put me off, I do like messy bumpie beads! 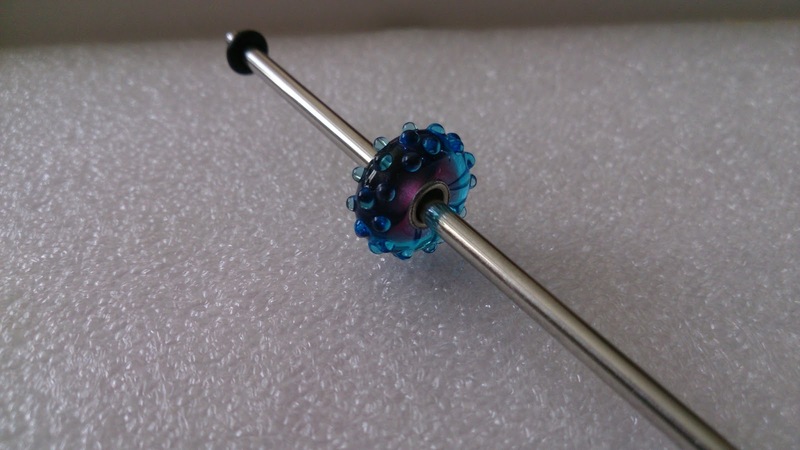 Roll forward by a year or so and Blue Fizz was exactly what I needed when I made my Blue Galaxy Bracelet. 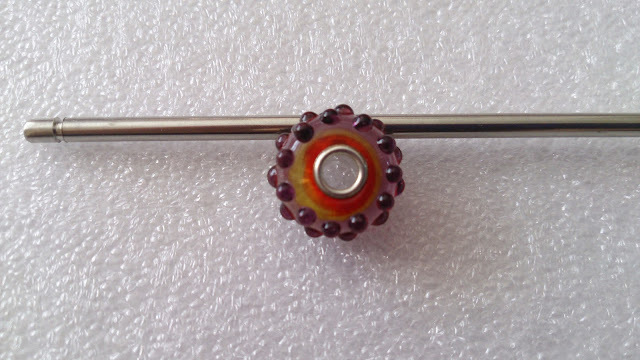 A bit late for that bracelet but I have to say I've definitely changed my mind about this bead. 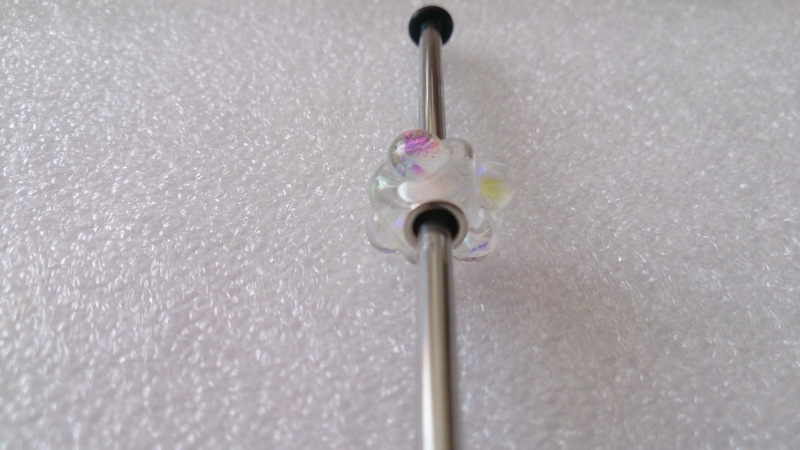 Next was Dichroic Ice - a bead I have pretty much ignored until I saw some photos of one on someone's bracelet. This is a deliberate move towards collecting some of the more, what I think of as, icy beads. I've not bought this with a particular design in mind but I'd also like to pick up Mountain Crystal and Inner Glow for very similar reasons. Finally the cherry on the cake, or rather the Berries on the cake. 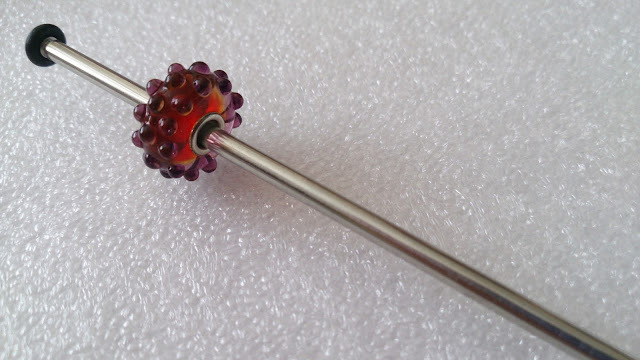 Red Berry is an absolute stunner of a bead, at first glace it just appears a deep red, but there is a lot of depth of colour in this bead. Turn it sideways and hold it up to the light and you can see where that depth comes from, it was a really clever person who worked out how on earth this pattern gives you such a beautiful end colour. 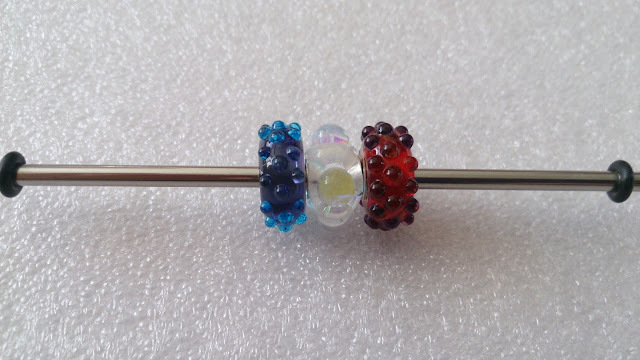 Blue Fizz and Red Berry were bought separately but they are a perfect match and quite big beads on a bracelet, I can't wait for my next break and make session to try them out! I love saying hi to people who've read my blog, or are just passing through via the A to Z, or anyone not a spam bot! Leather Bracelets (with tutorial)... How do you wear yours? Trollbeads ~ Bats are not just for Halloween! Beads, Budgeting & Summer Stones 2013 Collection.